Explore the welcoming communities of Tuscarawas County where businesses and families flourish. With an idyllic small-town appeal, our communities offer an alternative to urban congestion where a skilled workforce and modern industrial parks meet rolling hills and lush valleys. Bolivar is a picturesque little community that is growing and changing with the growth and engagement of the millennial generation. New shops and restaurants; Lockport Brewery, and Sublime Smoke, and Canal Street Diner are adding ambience and culinary delights. Nearby Fort Laurens State Park awakens Revolutionary War times gone by with frequent re-enactments as well as Civil War re-enactments. The adjoining Ohio and Erie Canal Towpath Trail can lead walkers, bikers, and even horse-back riders north toward Cleveland, or to nearby historic Zoar Village and Gardens. The Trails meander along the Tuscarawas River, through Bolivar and Zoar and through low-land wetlands Fort Laurens State Park for a beautiful and serene excursion. 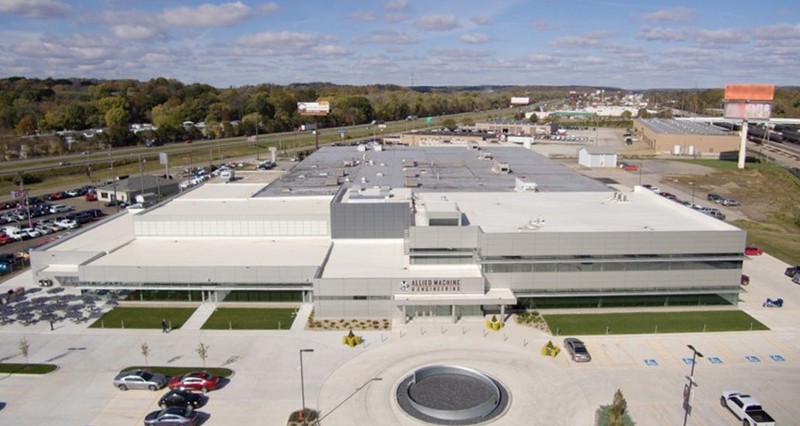 Bolivar’s nearby Lawrence Township Industrial Park provides an efficient and attractive rural setting with ample green space for a dozen highly successful manufacturing, wholesaling, and packaging companies; some local and some international. The serenity and charm of Bolivar is enhanced by nearby malls, boutique shops, art galleries, and even the Pro-Football Hall of Fame; all less than a half hour away in Canton….as is the Akron-Canton International Airport. This attractive community is steeped in history from early railroads to World War II history. Famously known as “Dreamsville, USA,” the Dennison Railroad Depot and Dennison Rail Yards played a significant role to millions of American solders as they passed through this stop on their travel east and west across the country. The beautifully restored Dennison Depot Railroad Museum is the community’s centerpiece of historic preservation and was named a National Historic Landmark by the National Park Service. Dover, awarded in 2016 as one of Ohio’s safest cities, is the second largest city in Tuscarawas County and is located along Interstate 77. The beautiful downtown, large park system, and river front provide the quintessential backdrop for small-town living. Dover is home to highly respected schools and Union Hospital, the county’s largest employer. The community of Gnadenhutten is located next to US 36/22 and the east/west rail connector. Home to Tusco Display, Plymouth Foam, Progressive Foam, and the Stocker Cement Company, the community provides charming farm-town atmosphere with acclaimed Indian Valley Schools and neighborhood shops to meet the needs of the community members. Situated in the northeast corner of Tuscarawas County near Atwood Lake, Mineral City enjoys a strong tourist trade, while also playing home to the Atwood Lake workforce. The American Refining Group terminal facilities, located on the edge of Mineral City, have grown significantly in recent years, and open land is available for industrial growth. New Philadelphia combines tradition and creativity to make it a home for productivity at its finest. As the county seat of Tuscarawas County and our largest community, New Philadelphia has cultural and employment diversity, including New Towne Mall, Harry Clever community Airport Field, and a popular center of community activities in Tuscora Park, complete with amusement rides, amphitheater, pond, and sports courts. Located in southern Tuscarawas County, Newcomerstown is well-known as the birthplace of former Ohio State football coach Woody Hayes and the birthplace of baseball phenom Cy Young. The Newcomerstown Industrial Park owned by the Newcomerstown Improvement Corporation is home to 31, Inc., Caito Foods,and several other large manufacturers. The charming Port Washington lies along the east/west corridor and State Route 36/22. Only 8 miles from I-77, the community has many industrial sites with significant transportation possibilities. Stone Creek is a small community located along I-77 between New Philadelphia and Newcomerstown. It is home to K. Hovnanian Home Sales and currently offers large, available manufacturing facilities. Ease of access to I-77 makes this community particularly attractive for industrial development with a rural, farm community setting. The Village of Strasburg was settled in the plain a mile north of Sugar Creek. William Smoyer is accredited by some with being the first settler. The village is home to the Lynn Auto Theatre and Strasburg-Franklin High School. Sugarcreek, also known as the Little Switzerland of Ohio offers residents and visitors a rich marriage of Amish and Swiss culture, with modern luxuries, as well. It is a tourist destination thanks to its famous Swiss Festival and Swiss cheese, and Sugarcreek is also a home for many successful manufacturing businesses. The Village of Tuscarawas is nestled along the Tuscarawas River, 6 miles south of New Philadelphia. Quiet, peaceful, and surrounded by farming and river-related recreational properties, the community enjoys its residential nature. Local schools, children’s parks, ball fields, and retirement facilities add to a neighbor ambiance that is relaxing and secure. The community is within the highly respected Indian Valley School District, and only 7 miles from Buckeye Career Center with its technical and trade courses for high school and adult students. An industrial park on the edge of town and along the Genesee and Wyoming, east/west line, rail road, has experience growth in recent years related to the Shale oil and gas exploration in the region. Uhrichsville is known as the Clay Capital because of its strong history in the clay manufacturing industry. Today, Superior Clay continues to manufacture clay in a number of applications from bricks and pipes to home décor. Downtown Uhrichsville is experiencing an exciting revitalization of the early 1900s three- and four-story structures.